Firstly, because DJs are no longer hairy-faced chatterboxes playing the Top 40 over breakfast – the good ones are now curators and connectors in the vast world of musical recording, whose role is to seek out new sounds and bring unexpected conjunctions of sound. Secondly, because Lefto has some very interesting connections himself, being associated with both Gilles Peterson’s Brownswood Records and the legendary Blue Note label – so he clearly has an ear for the latest in jazz developments as well as eclectic tastes. On this CD (also available as a 2LP set) Lefto curates a compilation of the latest in Belgian jazz-electro-acoustic acts from the Sdban Ultra label – and what a collection it is, with 16 varied and entertaining tracks from a variety of bands. One thing to say at the outset is that the vast majority of these tracks are not drum-machine driven, so this isn’t a hip-hoppy or rapping set. What we get are mostly real bands with real players (who nonetheless use studio techniques to build their sounds). In many ways these musicians are the successors to the acid jazz movement I wrote about a couple of weeks ago in reviewing the Night Trains retrospective (Hugh Brooker, Chris Bangs, D*Note and so on) – only now the field has expanded in all directions and includes many more musical reference points. 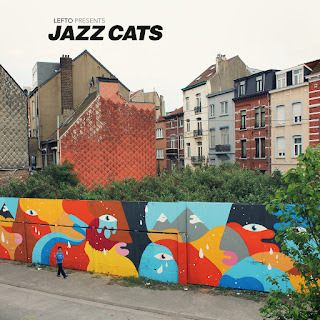 Stand-out tracks here including Antwerp fusion band BRZZVLL (pronounced ‘Brazzaville’, apparently) with their sax and Rhodes workout De Vlijtige Kip (the feisty chicken), all shifting textures and shimmers with polychromatic alto sax leading into a bouncy and deceptive groove. Black Flower combines Arabic scales and harmonies with flute lines and some rich dub production on Artifacts, connecting with the Ethiopian jazz of Mulata Astatke in crossing borders. Brussels quartet Commander Spoon arrive with guitar solos and tightly shifting rhythms on Introducing – Part III, the guitar of Florent Jeunieaux wailing to particularly good effect. Rather startlingly, a number of these bands present themselves as piano trios – though not, as one might expect, in the classical jazz sense. LABtrio (drummer Lander Gyselinck, bassist Anneleen Boehme and pianist Bram de Looze) are perhaps the closest to the norm, with their track Elevator giving a very effective build-up, punchy double-bass and thoughtful piano soloing. Steiger produce a more crossover sound, with distorted electric piano and crashing drums in a very ‘live’ acoustic (the room is taken as the ‘fourth member’ of their trio). De Beren Gieren leap along in a 3/2 pulse with a frantic ostinato bass figure on Oude Beren (old bears), as if Gogo Penguin had been transplanted into a circus. 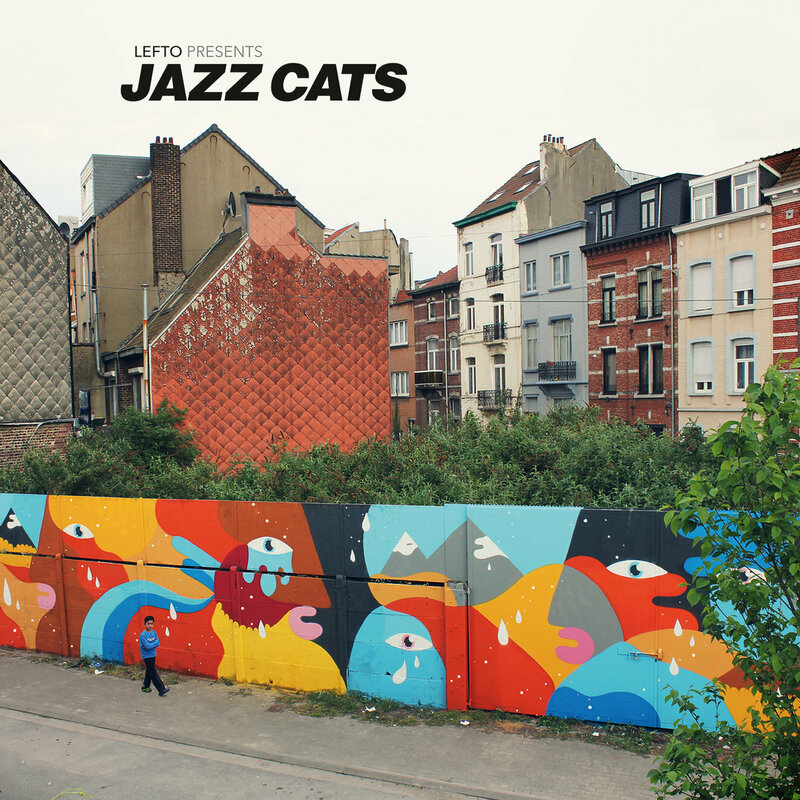 This CD offers a great way to catch up with some of the latest sounds and ideas, to get a glimpse of the rich variety of talent that Belgium is nurturing, and to connect with the art of the DJ as a window into emerging musical developments. And it’s an absolute bargain for a tenner. LINK: Lefto’s free radio shows on Mixcloud for more developments.